There is a message in this movie. Professor Moriarty, a chap with no conscience, is plotting to plunge the world into war so that he can make money. Sounds familiar? After much work Holmes and Watson are able to prevent the assassination that will trigger the war (Moriarty is also an influential man). Interesting to note that the assassin is trapped by circumstances, also a victim. That also sounds familiar. Do you think the movie will help those who don’t want to see the elephant in our living room? Professor Moriarty even talks about the military industrial complex that is to come. The movie is also fun to watch. Recommended. I am a little late on this, busy. 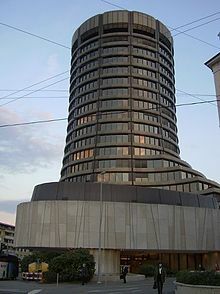 But I heard the other day that the Federal Reserve and Europe’s central banks are devising a plan to help in Europe‘s financial recovery, and I thought about the Bank of International Settlements in Switzerland: the head of the monster; the bank that leads the Feds and the other central banks. The banks that infiltrate governments everywhere for economic control and total dominance. The Eye of the Dragon | Published! The Eye of the Dragon, Stalking Castaneda has been published. 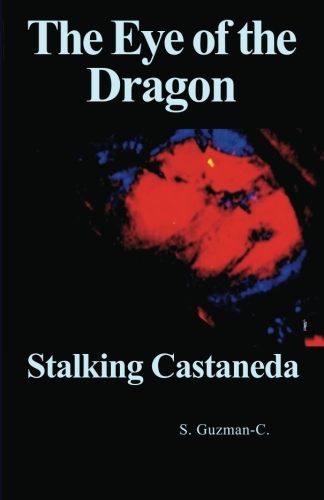 “In The Eye of the Dragon, Stalking Castaneda the author has written an engaging metaphysical narrative about the work of Carlos Castaneda. He is telling his own adventures and experiences, and using these as metaphors for the actual teachings. At the premise level, this book is focused on a fairly generic subject, but at the execution level this generic quality is lifted with a personal and unique narrative. This personal touch warms up the material and makes the work accessible to the reader. Guzman’s writing style is particularly engaging, and he has a wonderful cadence to his writing that grabs readers and holds their attention. Although the main subject of the book is shamanism, the author juxtaposes the teachings with other major philosophies to show how they all converge at one point: the eye of the dragon . . . and to expose humanity’s bane. It is also selling through amazon.com at: The Eye of the Dragon: Stalking Castaneda The “search inside the book” option is available now. Also available at the Kindle library, and you can ask at your local library. Filed under: Books and Movies | Tagged: Amazon, carlos castaneda, CreateSpace, Stalking Castaneda, The Eye of the Dragon |	Comments Off on The Eye of the Dragon | Published!